I have lost 2 stone with L L so am feeling quite pleased with myself at the moment. It is a diet I believe in. I only went to two group meetings where i was paying about £74 per week. However, I decided to try working out how this could be the weekly cost because it made no sense to me. I quickly realised that I was paying £15 pw over the odds for my food! It was only then did i realise that I was paying a weekly fee for the group session. Now, I wouldn't have minded quite so much if i had actually been told of this charge but it was never mentioned!!! A hidden charge is not ethical. In these first 2 weeks I had a good weight loss so obviously wanted to continue but I did not want to attend group....I am a professional in health and social care and psychological sciences. The topics discussed at group I did not feel I needed...I just wanted the foodpacks. Whist Googling diets I quickly became aware that I could purchase LL at Superdrug. Ok, the selection and choices were not so great but I kept telling myself...its only for another 4 weeks or so. I am now 2 stone lighter but would ideally like to lose another stone. I have not needed the 'support' of a group but i can understand that others may need this. I just need to continue for about 4 weeks more and I will be at my goal. I will do this on my own and be making my purchases at Superdrug. Maybe LL will one day consider allowing Superdrug to stock more of their products PLEASE!!!!! I have experience of this company...and trust me, you had a lucky escape! 'Cultural profile' usually covers several elements like RELATIONSHIPS, COMMUNICATION SKILLS etc. In a nutshell...your personal approach and attitudes towards a broad scope of cultural considerations! Or, put yet another way......you see the World the way they do!!! You sound too much of an individual to have ever fitted in....haha! Good luck. Totally agree..processed, over priced crap!!! It sounds to me that you DO have deep seated issues, a lot of anger and judgement. If we could all be autonomous and disaplind we would all be slim and in control. The food industry wouldn't make so much money out of us. £10 per day for phycological guidance and all the food your body needs doesn't sound expensive to me. 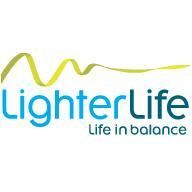 I've been on lighter life for 1 month now and lost 2 stone. I'm a 44 year old successful business owner with a very strong personality and a recently discovered underactive thyroid problem. This is the most amazing and best diet i have ever attempted. I wish i'd done it years ago. Yes everything they say is obvious ( to me it is as i'm very well educated and make it my business to find out about things) But it still works if you work it! ( as they say in lots of 12 step programmes!) I was desperate, not massively fat (15 stone) but as i told my husband its this or a gastric band. This wins out every time. The ability to take a step back and reassess and re-evaluate one's relationship with food is fantastic, And i like the packs, maybe because i dont eat junk food or take aways I like the absolute parameters, but then i'm a person who, when i set my mind to it, it gets done. And £73 a week for 6 monhts for a lifetime of avoiding diabetes , heart disease, hip and knee replacement and looking like a wreck is worth it . Besides that would buy me 3 drinks at my local! Each to their own, but i can't recommend this highly enough.